Congratulations, you’ve found the perfect home! Or so you might think. When the temperature soars into the 90s in the middle of August, will your air conditioner keep you perfectly cool and comfortable? 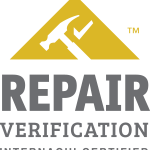 It’s important to have your home inspected by a licensed and certified professional with experience performing visual and operational inspections of home cooling systems. At A-Pro Home Inspection, our inspectors perform a thorough assessment, including running the unit (when possible) to see if the system is operating effectively. The visual inspection includes examining components after removal of readily openable access panels. Dirt and Debris Clogging Condenser Fins: A filthy condenser/compressor coil can severely hinder the cooling power of the unit; decrease efficiency and increase utility bills; and drastically cut short the life of the system. A dirty filter will also be noted by the home inspector, in addition to debris such as grass clippings blocking air flow. Visible Damage: Your home inspector will note exterior damage to the condenser, such as rust, leakage, and bent fins that force the unit to work harder, reducing efficiency. Improper Clearance and Obstructions: Your inspector will report on whether the outside air-cooled A/C condenser/compressor is far enough away from the house, deck or porch to allow for sufficient air flow. Two feet of clearance is generally required. Further, shrubbery too close to the unit can prevent it from working at a maximum level. Missing or Damaged Parts: These include the unit’s exterior disconnect switch and suction line. Levelness and Other Issues: The home inspector will indicate if the condenser/compressor is on a tilt, is loosely mounted, starts with difficulty, is unusually noisy, emits an odor (a sign of motor damage or overheating), and is covered in frost or ice. Cooling System Tip: When the weather turns cold, invest in a proper cover for your exterior unit to protect it from the elements. A cooling system inspection is just one part of an A-Pro 500-point home inspection. To hire a certified local A-Pro home inspector, visit here or call (205) 538-2425. Tagged Home Inspection In Birmingham.